It protects our body from various diseases and bacterial or other infection. Our body consumes proteins when we perform various physical activities such as walking, running, etc. Amount of protein reduces through skin, nails and hair loss also. Protein rich diet is essential to rejuvenate the body from protein loss and also help to cure from any type of injury. For any age group, the body need sufficient amount of protein and calories in proportion of daily consumption. You can check chart that mention daily requirement of protein according to different age group. Protein is essential for complete growth of your body. Protein is very important for pregnant women and breast feeding women. It helps them to support maternal tissue and for milk production after birth of child. 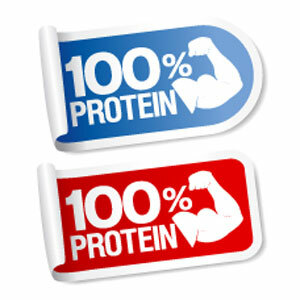 Protein is very essential for the person who is operated for any injury or illness. Protein is essential for fast recovery of your body in such case. You can get good amount of protein from different food sources. Your body gets complete protein from protein rich food such as chicken, fish, dairy products and soybeans. There are 22 types of amino acid and our body will get it from complete protein only. Complete protein is essential for building muscles and body tissues. When you take fruits, vegetables, seeds, grains, nuts, etc in your diet, your body get incomplete protein means these foods provides limited range of amino acids. Your body needs all amino acids for preparing protein. You need to combine different food group to get complete protein for daily need of your body. Various foods such as beans, nuts, milk and dairy products, pulses, meat, fish, dry beans and peas, eggs, etc are rich source of protein. Beans and Pulses: Chana, Urad dal, Cow pea, Moong, Lentils, Rajma and Soya beans; you will get highest proteins from Soya beans. Cereals and Grains: Wheat germ and nuts such as almonds, cashew nuts, groundnuts, sunflower seeds, etc. These are high protein food with high fat. Condiments: Methi is also good source of proteins. Fish: Catfish, Hilsa contain moderate fat. Only milk is not sufficient for your growing children. Powdered milk is a rich source of protein whereas milk in liquid form provides medium amount of proteins. If you are vegetarian, it is recommended to take more protein rich food in your diet. Some good combinations of complete proteins are bread-cheese, corn-beans, cereal-milk and rice-beans. Protein rich breakfast with some fruit milk shake such as banana shake or strawberry milk shake is the best option. Bread cheese or chickpea, mashed potatoes in dinner. Peanut butter with apple, fruits like pineapple, grapes and cherries can add taste of your snacks. Measurement: 1 cup is approximately 8 ounce. 1/2 cup is 4 ounce. Children are more active during this age and you should plan healthy diet schedule for them. According to your child’s age, physical strength, daily activity and energy consumption you have to plan protein rich diet for his healthy growth. Protein deficiency causes various physical disorders in your child. You can find many delicious protein rich recipes online and prepare tasty dishes according to favorite taste of your child.